I think my love for Dalmatians began when I saw the infamous movie about them during my childhood. I think I was most intrigued with how unique and beautiful they were. So when it came time for me to purchase my first pet, there was little question of what I would choose: a dalmatian. I quickly found, however, that I couldn't stop with just one. I purchased three dalmatians within six months and was absolutely loving my life. My dream of breeding and training dalmatians in my free time began shortly after I owned these first three dalmatians. They were such beautiful dogs and they were so easy to train and to take care of. I thought about how magical it would breed this great dog so that many other people could experience the pleasure of owning what I believe is the world's best dog. Of all the dogs, the Dalmatian is easily spotted by its characteristic black spotted features. How these black spots evolved remains a puzzle. 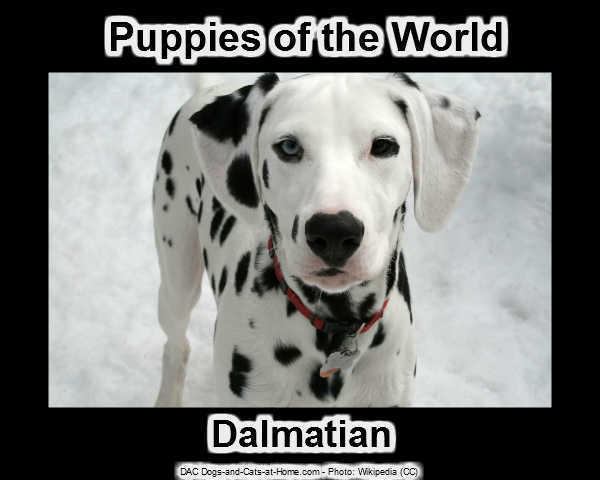 The Dalmatian is a European breed, first discovered in Western Yugoslavia. In the USA the Dalmatian was first introduced about 120 years ago and still remains one of the most popular dogs as a pet. One of the great features of the Dalmatian is its energy level and ability to exercise for long duration. The Dalmatian is not a pet for a small apartment because it needs a lot of room. Training this dog is not difficult but does require a great deal of patience. Training can be difficult at times because the dog often tends to become stubborn. While the Dalmatian does make a great pet dog, it often does get ill tempered with other dogs. Ironically, it is quite friendly with other animals like cats and even horses. 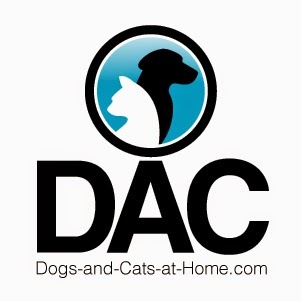 For those families with children, the Dalmatian should not be the first pet as it is full of energy and though not intentional, it can be a little rough with small children. However, if the dog is well trained it can make a great loving pet. Despite its size and energy, the dog will rarely harm a child or the owner. The Dalmatian is one dog that needs regular exercise and thus, it is more suited for people who are active. Simply taking the Dalmatian out to poop will not be adequate as it prefers to go for long outdoor runs. 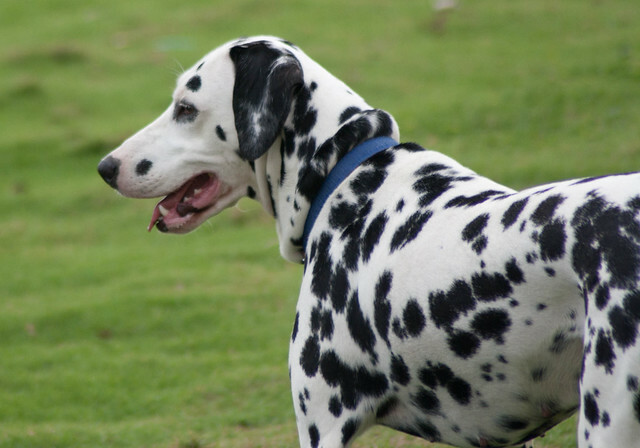 The majority of Dalmatian owners indicate that it makes a great jogging companion. When you first buy the Dalmatian as a puppy it will gladly live in the apartment, but as soon as it grows, it will let you know where it wants to go. Throwing a ball in the park is another way to provide exercise for them as well. The Dalmatian prefers the cool temperate weather more so than the hot humid climate. When outside, one has to make sure that it is provided with lots of water and a shade to rest under. The dog does tend to become attached to humans and loves people company. Even though the Dalmatian loves the outdoors, it also prefers to be with humans once inside the home. The majority of pet dalmatians live at least 12- 15 years. There are even reports of some Dalmatians living a lot longer. While comparisons are difficult, the dog can be as loving and gentle as a Labrador when it is well trained. Article By Kelly Marshall of Oh My Dog Supplies, check for current specials on dog outdoor wear online. The breed was named after Dalmatia, a place in Western Yugoslavia on the Adriatic sea, which at one time was part of Austria. However, the dogs were known in other parts of the world as well long before they acquired the name of Dalmatians. Historians have found references of this beautiful dog since the mid 18th century but also in other parts of the world the historians found that the breed was shown in several types of unique art like engravings, paintings, models and early writings which have accounted for the presence of spotted dogs of the same size throughout Africa, Asia and Europe. History also tell us that ancient gypsies carried these dogs in their trips around the world, which also explains the great widespread and popularity of the breed. Later on, dalmatians were brought to Great Britain by members of the British upper classes who made trips to Europe and would often come back accompanied by some of the striking spotted dogs. After dalmatians were adopted by the British aristocracy who used them to accompany their carriages, the dalmatian soon became a feature of these processions. The dogs were taught to station themselves beneath the rear axle of the coach, and in some cases to trot underneath the pole separating the horses. They were also taught to lead the procession, trotting along ahead of the first horse, which was an impressive sight to see! 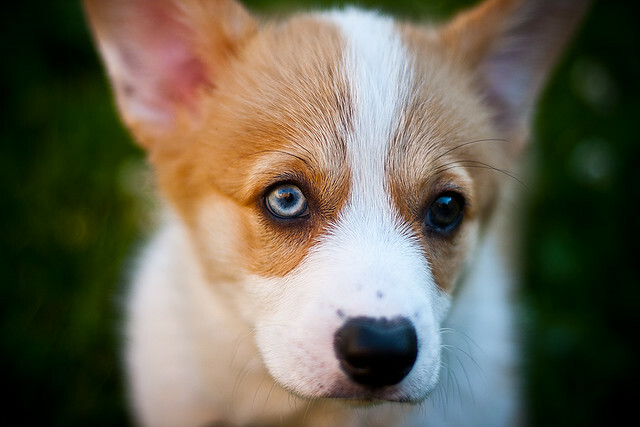 When, in 1860, Great Britain held its second dog show there were only five breeds represented. These included Dalmatians, and so far as history records, this was the breed's initial appearance in dog show competition. Were it not for a gentleman named Fred Kemp, who was President of the British Dalmatian Club and a third generation owner of this breed with which he himself was involved for more than half a century, Dalmatians might not have survived World War I. The dalmatian also became known for his very famous role of being a "firehouse dog". This was said to have started with the dogs being used as ratters, for the function of killing vermin in London's stables and firehouses, which they did with expertise. Today, many Dalmatians can still be seen riding on the fire trucks with their masters. Dalmatians are still considered as the mascot and are often found in firehouses around the world. But the Dalmatian is not only known as the "firehouse dog", he also worked in war times as a sentinel, served as shepherd’s dogs and as draft dogs. They also have been seen in circus shows as "assistant" of the clowns, their intelligence, aptitude, and showy appearance having fitted them particularly well for this activity.